An official letter addressed to GMAZ's grain supplier, Holbud Limited by Beira Grain Terminal Managing Director, Antonio Lopes last week said port authories were fast losing patience with GMAZ of the cargo. "It has come to our notice that Holbud Limited has been bringing wheat for GMAZ contracts and storing it over the agreed timeframe on reasons that payment is still being proceeded by GMAZ, which is causing a lot of inconveniences to other receivers of Mozambique, Malawi and Zambia," read part of the letter. "We are now objecting to this extended storage as this is now featuring regularly. In future, if any wheat vessel coming for GMAZ or its members from Zimbabwe does not have release before berthing, it will not be allowed to be received at BGT." Mozambique's Manica Freight Services said they were being greatly inconvenienced by the delays by Harare authorities to clear their wheat consignment. "This delay in loading out the cargo on arrival is causing inconveniences to other receivers as the capacity of BGT is limited and is not a storage point, now the time has come when other of the receivers are objecting to BGT allowing GMAZ/Zimbabwe cargo as this is now becoming a regular feature with GMAZ consignment," said Manica Mozambique. "We make reference to the long outstanding wheat payment for the residual balance of 19 000 metric tonnes of wheat currently in Beira but berthed on 21 December 2018. The matter has become untenable. 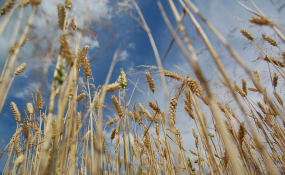 "The local wheat supplies now currently have less than 60 day national cover and this puts national stocks in precarious state with high risk of stock-out. We are therefore requesting your good office to make this payment as soon as possible so that we increase national wheat stock level and avert a crippling bread shortage," said Musarara.